Parents with college-bound kids have a lot to consider when it comes to making the best investment in their child’s future, from academic programs to athletics to internships. Real estate, too, should be a key component in that calculation. 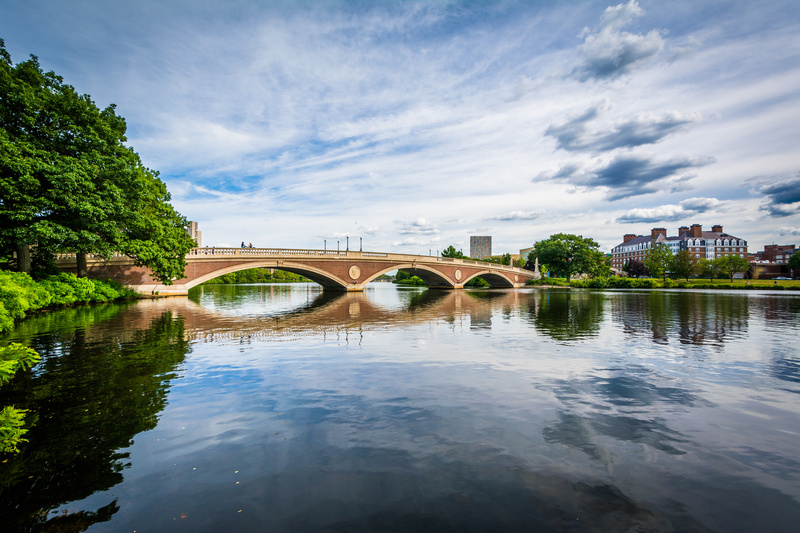 When seeking quality student housing in Boston—the city sometimes referred to as “the nation’s college capital” for its dozens of institutions of higher education—there are a few important factors to keep in mind, experts say. Boston’s real estate market is experiencing its most sustained upswing in decades. Demand for housing in this mecca of the education, health care and tech industries is strong, but inventory is limited, which makes the city an exceptionally competitive seller’s market. Over the last decade, appreciation rates in Boston have surpassed national averages, so investing in this city with its constant influx of young scholars and workers is a wise choice—but only if you have a minimum five years to let your property appreciate in value, according to experts. Shorter timeframes make renting a safer bet. Whether you purchase, rent or opt for the relative ease of the traditional dormitory set-up, don’t forget to consider your student’s specific needs and preferences, length of stay and commuting. As in most markets, cost correlates with convenience—the more you spend, the closer to school they can expect to live. Core areas for off-campus housing, including South End, Back Bay, Cambridge and, more recently, East Boston, have appreciated consistently between 8% to 11% annually since about 2010, once the market recovered from the recession, according to Gem Mutlu, a real estate consultant and owner of The Mutlu Group, a division of Gibson Sotheby’s International Realty. “Investing in homes near (wealthy) institutions or near any other capital is a no-brainer,” Mr. Mutlu said, especially as many well-funded private universities frequently look to expand. And the high concentration of reputable schools in a small city drives consistent population and job growth. A major barrier to entry, however, is lack of inventory, which has spurred home prices to near-historic highs. Depending on the neighborhood, costs can vary from $400 per square foot to $2,500 per square foot, according to Mr. Mutlu. A two-bedroom, one-bathroom condo in Boston’s hot South End, for example, could fetch $1.5 million, but a 3% or 4% down payment—perfectly reasonable in some smaller cities—often won’t cut it in Beantown, where average down payments often run closer to 16% or more, he said. Some prospective buyers are forced to wait because they can’t afford a down payment, and the student rents or lives on campus for the first year or two. Mr. Mutlu said he encourages his clients to take advantage of the value to be found in Boston real estate as early as possible in their child’s college career, if not when they are starting out, as freshman. “While there are no guarantees that any appreciation will happen from today to tomorrow, in Boston when we look back, we find that over the course of the mid- to long-term, people have almost always come out ahead,” said Mr. Mutlu, who defined “mid- to long-term” as five to 10 years. The student housing economic calculation is different for every client, said Kathleen McQuiggan, an investment advisor with Artemis Financial Advisors. Prospective buyers should weigh the expenses associated with homeownership into “the opportunity cost” of an investment property, Ms. McQuiggan said. That includes closing costs, utilities, property taxes, and condo fees that can add a couple thousand dollars a month. The purchasing process can be more complex for the large population of international families whose children travel from India, China, Turkey and elsewhere to obtain an undergraduate or graduate degree from one of Boston’s first-rate programs. Cash purchases simplify the process, but with mortgages, international buyers are subject to higher down payments and may have fewer options when it comes to finding a lender. In some cases, foreigners must also present a visitor’s visa. Duration is a key component in these decisions. If the student gets a job in Boston after graduation and continues living in the apartment, or younger siblings can live there while attending school later, the long-term benefits of purchasing may offset homeownership expenses. “Always thinking about what’s the exit strategy is something that we would support,” Ms. McQuiggan said. For students enrolled in shorter educational programs or parents who are skittish about the real estate market’s eight-year climb, there are plenty of options to rent or find on-campus housing in Boston, experts said. While rental prices are high, they’re often comparable to the costs of on-campus housing, according to Mr. Currier. In less centrally located neighborhoods, like Mission Hill and Jamaica Plain, two-bedrooms can be found for $2,200 a month; closer to the main hub are Fenway and South End, offering $2,700 and up for a two-bedroom, he said. This summer Mr. Currier noticed a wrinkle in the rental market that surprised him: As of mid-August, Boston Z Realty’s database showed about 4,000 available properties when that number is typically far less during the summer; there were about 1,500 last August, he said. “In all of my seasons doing this, I’m not sure if I’ve ever seen that number switch so dynamically as it has this season,” he said, declining to speculate what those would-be renters ended up doing instead. His forecast: “The vacancy rate after Sept. 1 is going to be unlike anything Boston has seen in a long time.” That could herald a major slowdown in Boston’s skyrocketing rental prices, Mr. Currier said, as landlords realize they pushed prospective tenants to the limit and will finally, he hopes, adjust their prices. Meanwhile, the cumulative cost of on-campus housing over four years can often equate to a full year of tuition, depending on the size and privacy of the dorm and the meal plan requirements. Some universities require students who live on campus to choose a meal plan, adding tens of thousands of dollars to their bill over four years. Northeastern University’s undergraduate housing options, for example, range from a $6,620-per-year “economy quad” to a private one-bedroom apartment for $15,110 per year. At MIT, a quad goes for $7,810 per year while a single is $11,180 per year. Dorms and on-campus apartments provide a seamless, furnished, amenities-heavy lifestyle that also give students easy access to resources like dining halls, tutoring and social events. Gail DiSabatino, vice chancellor for Student Affairs at the University of Massachusetts, Boston, said research supports the notion that student engagement in the campus environment leads to greater success later in life, as well as higher grades and retention rates during college. “This whole idea of investment is really, really important for families to consider because when you’re sending your child to college, you’re investing in their future,” Ms. DiSabatino said. “One of the best ways to ensure that you (make the most) of that investment is by having students live on campus,” where they’re more likely to be engaged with fellow students, faculty and staff. Formerly a commuter college, UMass Boston plans to open its first residence hall this fall, with 1,077 beds for freshman and some sophomores, Ms. DiSabatino said. Rooms range from $8,703 per student in a quad to $12,213 for a large single unit with private bath. Ms. McQuiggan, the financial advisor, recommends that parents and students seriously consider the intangible aspects of university life that can make or break a college experience. “There is a network of friends that can be established in that dorm-living setting,” she said, noting clients who have shared stories of close friendships that began as college roommate situations decades ago.